Linda Mizejewski, Professor of Women’s Studies, specializes in feminist film theory and cultural studies. She is the author of Divine Decadence: Fascism, Female Spectacle, and the Makings of Sally Bowles (Princeton, 1992); Ziegfeld Girl: Image and Icon in Culture and Cinema (Duke, 1999); Hardboiled and High Heeled: The Woman Detective in Popular Culture (Routledge, 2004); It Happened One Night (Wiley-Blackwell, 2010); and Pretty/Funny: Women Comedians and Body Politics (Texas, 2014). With Victoria Sturtevant, she has co-edited an anthology, Hysterical! Women in American Comedy (Texas, 2017). 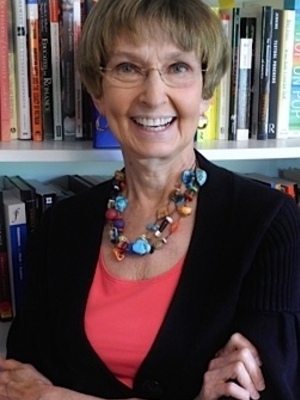 She has been the recipient of two Fulbright teaching awards, an ACLS Fellowship, the Harlan Hatcher Distinguished Faculty Award, and the OSU Alumni Award for Distinguished Teaching.